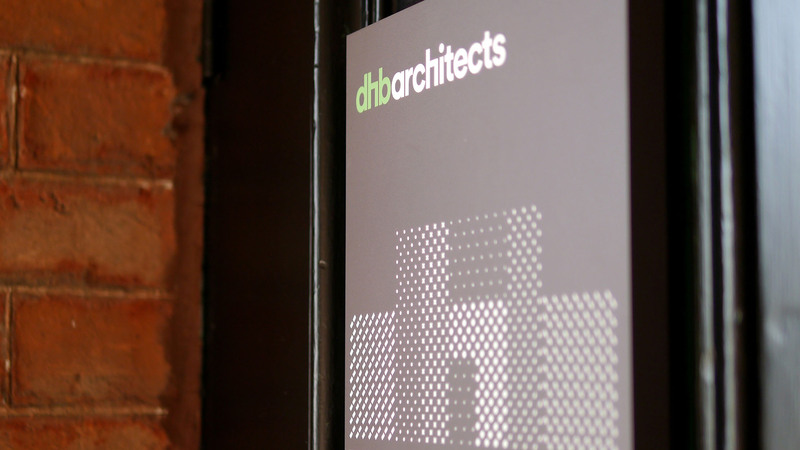 dhb architects is a design-driven architectural practice based in Ireland. Its three directors, Fintan Duffy, Máire Henry and Harry Bent have extensive experience in practice, teaching & research in Ireland, France and Finland having worked with world-renowned architects such as Juhani Pallasmaa, Henri Gaudin and Renzo Piano in nearly every sphere of architectural design and practice. The company has received national and international awards for its work and the practice was short-listed in 2010 & 2011 at the World Festival of Architecture in Barcelona. They needed to develop brand identity system to more accurately compliment their design led practice and the profile of their projects. 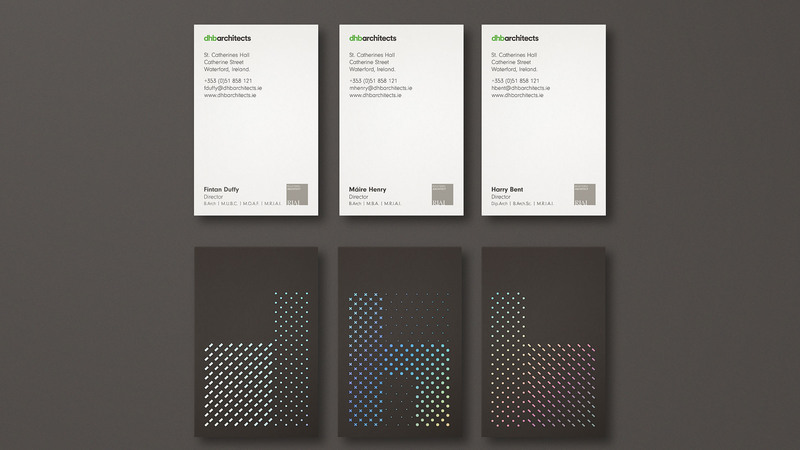 The brief was develop an entire new logo and visual identity that would work across all their materials, from stationery, drawings, signage and website. We developed a visual identity system concept based around their process “Plan > Design > Construct”. On review of their existing materials we were drawn to the technical drawings and textures they used. We began to explore using their initials in a composition that suggested a floor plan and the profile of a building. 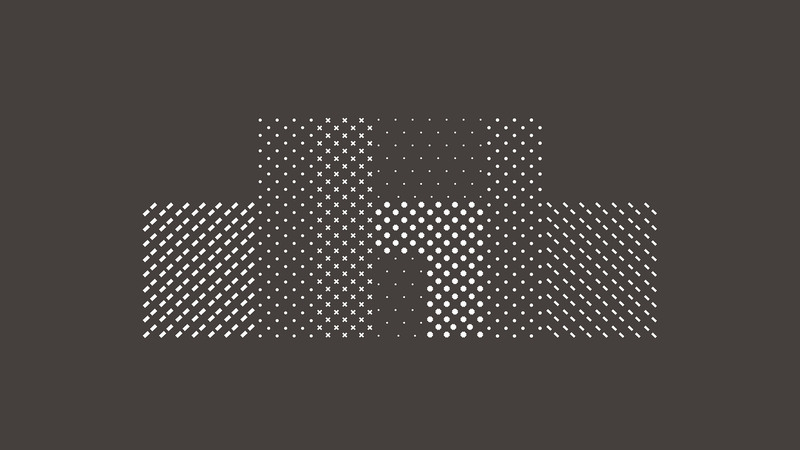 Each letter is created from separate patterned blocks that unite to form a secondary monogram graphic device to support the main logotype. The logo type is constructed from their name with customised letters which suggest structures of buildings and reflect the graphic device monogram. They have an award trophy that sits in the window of the studio and when the sun shines on it, it casts little rainbows across the studio. We included this element in the design specifying holographic foils and using their photographs in the website imagery. The identity was rolled out across multiple applications including website.